Aviation trade shows provide important opportunities to communicate the value of your products and services to buyers in your industry. However, the investment required to stage a successful exhibit can sometimes be prohibitive, especially if you design and build your own booth. That’s why more aerospace trade shows exhibitors are renting their display booths from ExpoMarketing, the pioneer in the rental booth market. Since 1991, ExpoMarketing has been saving aviation and aerospace companies time and money by providing eye-catching trade show booths for far less than the cost of booth ownership. We offer a wide variety of sizes and styles. Our innovative designs have won numerous industry awards. And we carry one of the largest inventories in the U.S., making it easy to rent a display that perfectly fits your business and your brand. Whether you exhibit at industry conventions once a year or once a month, renting an aerospace trade show booth is the smarter way to go. Renting provides a polished, professional display for a fraction of the cost of owning a booth. It enables you to easily change designs or sizes for each show – an important consideration if you exhibit in many different venues. ExpoMarketing offers different sizes ranging from 10’ x 10’ up to 100’ x 100’.) Renting also reduces labor, shipping and drayage costs, while helping to avoid additional fees for maintenance, refurbishment, pull and prep, and storage. Most important, renting from ExpoMarketing allows you to reduce show costs while still making a powerful impact with your display. Some of your competitors may already be taking advantage of our low-cost rental approach – you just don’t know it. See more top aviation trade shows at the ExpoMarketing trade show calendar. The aviation industry is booming, with low oil prices, industry consolidation, and robust demand giving commercial carriers big profits and robust cash reserves. At the same time, aviation companies continue to look for ways to improve efficiencies and manage costs while enhancing customer convenience. All of which means industry buyers will be on the lookout for new and innovative solutions that help them operate more efficiently while improving their competitive standing. It also means that industry trade shows will be more competitive than ever, making it even more important to have an aerospace trade show display that stands out from the crowd. 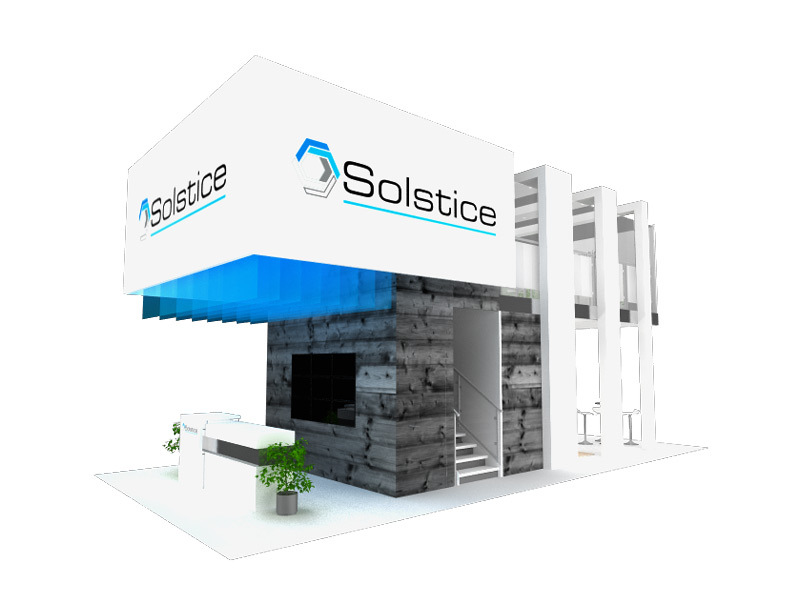 With 25 years’ experience renting booths to aerospace exhibitors, we can design a display that connects with show attendees while positioning your business as a forward-looking supplier to the aerospace industry. We offer many different styles, from inline and island to double deck and peninsula. 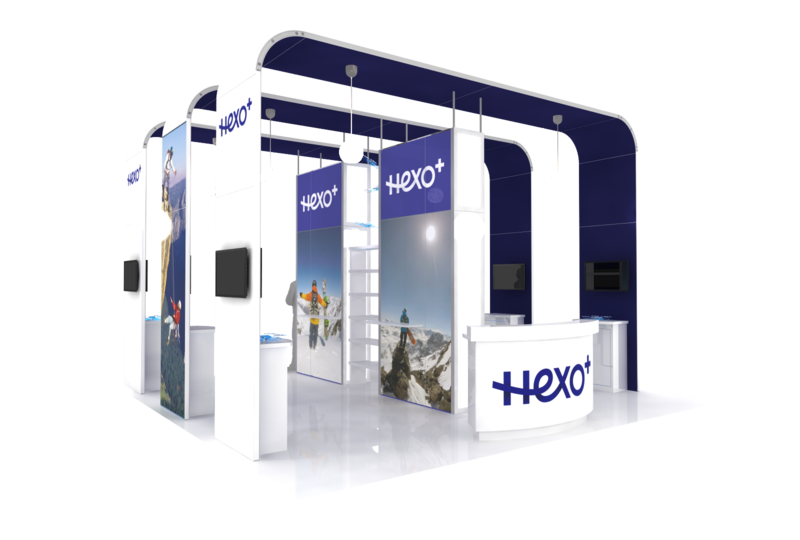 No matter which size or style you choose, we provide you with a polished, professional trade show display that captures the attention – and the business – of your visitors.